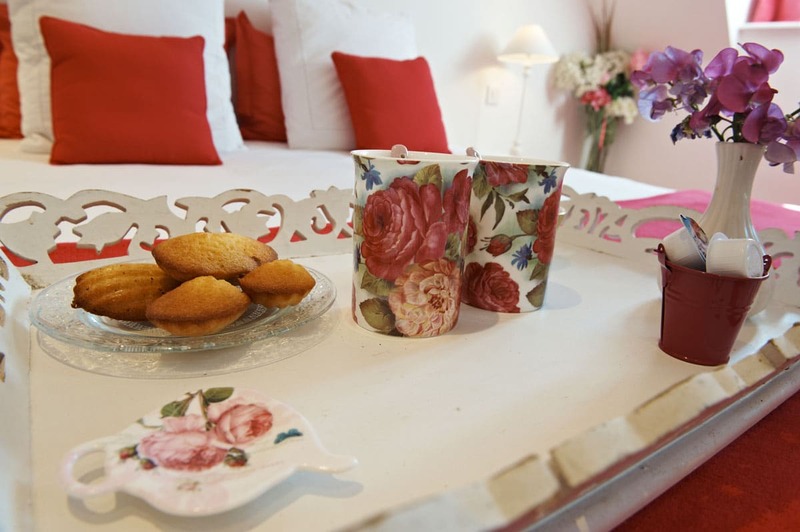 One bedroom holiday bright and easygoing adorned with pink and white. 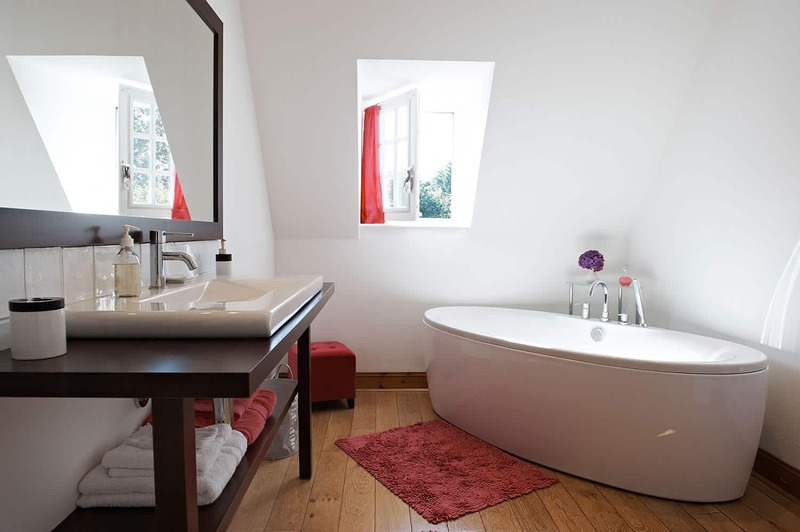 The bathroom has the same color, the large oval bath stands in the middle of the room. Here we are in the countryside and the view overlooking the orchard. 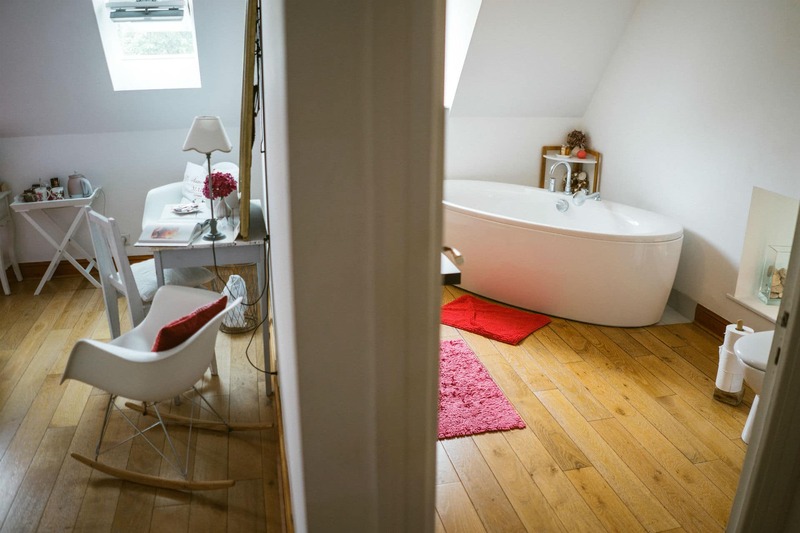 Private bathroom (bath retro, a large washbasin, WC). 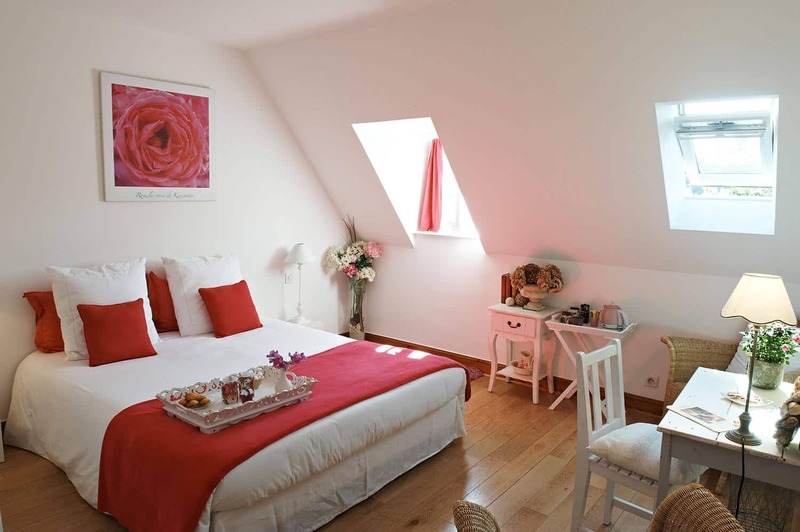 Large bed of 160×200 in this bright ground floor room.